Premarket Notification, also known as the 510(k) process, is one of several controls to ensure that all medical devices that enter the American market are safe and effective. 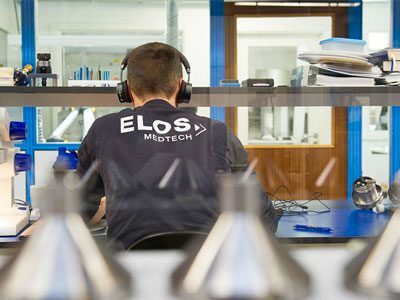 In this blog article, I will introduce you to two of the most common regulations as well as describe Elos Medtech’s journey towards bringing our full range of digital dentistry products to the US. There is an extensive system to regulate which products enter the US medical device market. United States Food and Drug Administration (FDA) is responsible for promoting and protecting the public health by ensuring effectiveness and safety of medical devices. The agency is also responsible for promoting innovations that improve medical devices as well as helping the public access scientifically based information about the products. FDA divides medical devices into three different classes, based on the level of control needed to assure safety and effectiveness. This is dependent on the device’s design complexity, characteristics of use and the risk of harm if it is misused. Medical devices that belong to Class I, such as elastic bandages and examination gloves, are subject to the least regulatory control. Class II and Class III medical devices include products that are subject to more controls and approvals to ensure safety for the user and patient. There are two major processes by which medical devices enter the US market after review by the FDA. The first one is the Premarket Approval (PMA). This process evaluates Class III medical devices that support or sustain human life, that are of great importance in preventing impairment of human health or present a potential, unreasonable risk of illness or injury. Examples of Class III medical devices are implantable pacemakers and pulse generators. Because of the risks associated with Class III medical devices, the PMA is the most stringent pathway of the two and it generally takes clinical trials to ensure the devices’ safety and effectiveness. 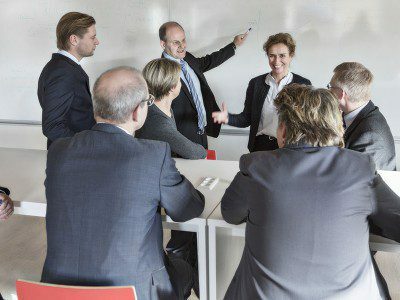 The other and most common way of bringing a new medical device to the American market is the “Premarket Notification” process which applies when a PMA is not needed. Premarket Notification, also called the 510(k) process, requires that a new medical device is compared to another already lawfully marketed model. The parameters that are compared are for example indication for use, material, chemical composition and design. The new device will get a 510(k) clearance by going through general controls, tests or literature search that show FDA that the device is at least as safe and effective as the predicate device it was compared to. This, in turn, means that the medical device manufacturer or their contract manufacturer can legally market and sell the device in the US. 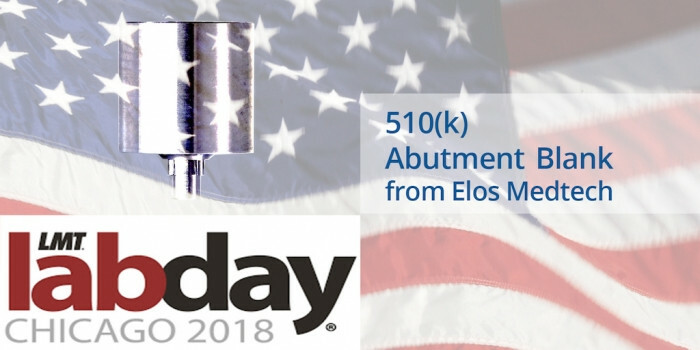 Elos Medtech has been offering scanning abutments and model analogs on the US market for many years. Since they are categorized as Class I medical devices they do not require 510(k) clearances. The products are included in digital dentistry but they do not alone enable a complete digital workflow. For our customers to experience all the possibilities and benefits that digital dentistry has to offer we have been working on bringing more of our Elos Accurate products to the US market. Just recently, we got a 510(k) clearance on our first Abutment Blank after a process of clinical testing and literature search. This does not only mean that the product itself is proven safe and effective, it also has a bigger meaning. Even though this is merely one step on the journey towards offering our full range of products for a digital workflow, it is a step that will pave the way for the next ones. Since we can now use the Abutment Blank as our predicate device in the Premarket Notification process it will accelerate the process of bringing our other products to the market. 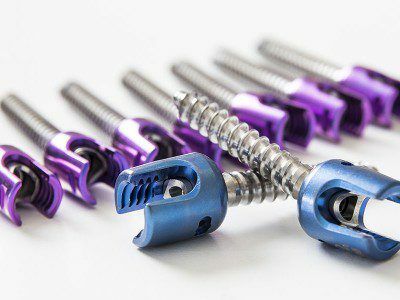 Next, we will focus on making our titanium bases available in the dental libraries for our American customers. For the seventh time, Elos Medtech will exhibit at LMT LAB DAY Chicago, the largest international gathering of the dental laboratory community in the US. Between February 23-24 you can meet us at the event to get to know more about our upcoming product launches and developments. We are looking forward to seeing you there! I hope you enjoyed reading this blog article about our ongoing work to provide dental professionals in the US with more of our digital dentistry products! For more information and news from the dental industry and Elos Medtech, visit our Dental blog!